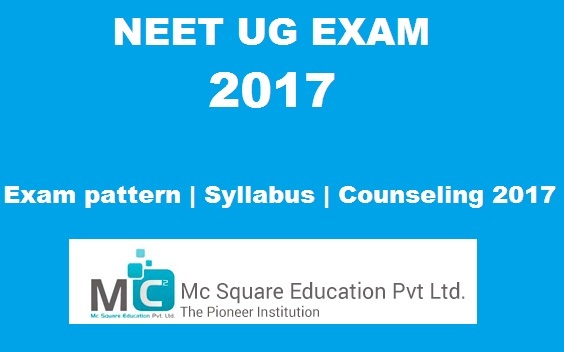 The syllabus of NEET medical exam 2017 includes Physics, Chemistry, Zoology and Botany. The exam is based on a common syllabus notified by the Medical Council of India (MCI). Candidates should have officially prescribed syllabus before starting preparation for the exam. The Directorate General of Health Services will organize the counseling for 15% All India Quota through online mode. Admissions to students will be given as per the ranks scored by them in NEET 2017. Counseling for state quota, central institutions and universities or many others will be organized by their respective counseling authorities. During the counseling process, students will be asked to select medical and dental colleges as per their choices. Seats will be allotted to students as per choices filled by them and availability of seats in particular institutes.